Once again, we find ourselves experiencing pain before which words seem insufficient. I have previously addressed victims of terrorist acts; I have addressed their families; I have even addressed those who may have had an opportunity, even in some small way, to advocate for or support those most vulnerable. This time, however, I feel a need to address those who perpetrate these crimes. You are loved. The violent and deadly crimes you perpetrate are abhorrent and detestable, but you are loved. You are loved by God, your creator, for he created you in his image and according to his likeness, and placed you on this earth for much greater things, according to his plan for all humankind. You are loved by me and millions like me, not because of what you do, but what you are capable of as that wonderful creation of God, who has created us with a shared humanity. You are loved by me and millions like me because I, and we, believe in transformation. Transformation is core to the Christian message, for throughout history we have seen many transformed from being those who persecuted Christ himself and Christians to those who went on to live with grace. We believe in transformation because, on a daily basis, we are personally transformed from a life of human weakness and sinfulness to a life of power and righteousness. We believe in transformation because the whole message of the cross and resurrection of our Lord Jesus Christ is to take humanity from the bonds of sin and death to a liberation in goodness and everlasting life. Our world is certainly suffering from the brokenness of our humanity, but it is our responsibility, personally and collectively, to encourage and inspire ourselves and all those whom we meet along our path to a life of virtue and holiness and the love and forgiveness of all. This, of course, is far from the reaction that many may have expected, but the Christian message is just that: to look at our world as through the eyes of God, who loves all and who desires that all be liberated through him. I grieve, certainly for those who have lost their lives, for those who mourn and for those who will continue to be adversely affected by these tragic experiences; but I also grieve for a young man who sees it not only justifiable, but glorious, to take the lives of other young men and women and deprive his and their families of enjoying them as they grow and mature. No family should lose a son in this way, even if they are partially or wholly responsible for his flawed ideology. This loss might be to that ideology, to incarceration as a result of his actions and choices or, in the worst case, in taking his own life, along with others, regardless of the great cost to those left behind. In the same way, no family deserves to lose children and members who merely go about their day to enjoy their God-given right to exist, whether it be by attending a concert, taking a pilgrimage to a monastery, simply walking through city streets, or in any other way. I also grieve for those who considered it a victory to board a bus filled with pilgrims and execute children, women and men purely for refusing to denounce their faith, as we saw happen to Coptic Christians in Menia only yesterday [May 26]. What is increasingly obvious is that many of these attacks come about due to a loss of the meaning and comprehension of the sanctity of life, our own or that of others; so join me in praying for the brokenness of our world that causes parents to lose their children, children to lose their parents and humankind to lose the humanity for which it was created. What is important is not that this message be read, but that it be communicated; not that it be accepted, but that it be understood as another perspective; and not that it should be fully embraced, but that it may create at least a shadow of a doubt in the minds of those intent on inflicting harm and pain. 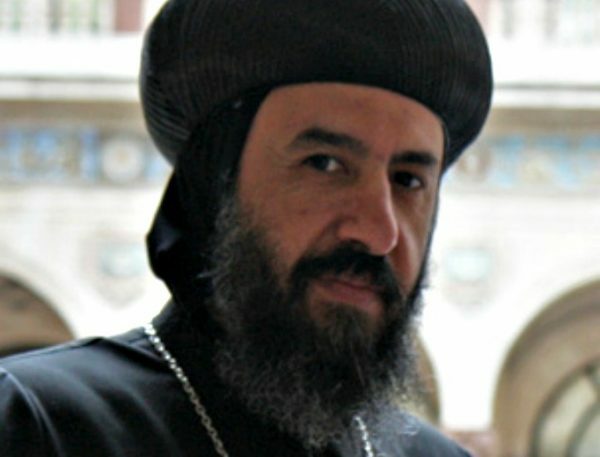 His Grace Bishop Angaelos is the general bishop of the Coptic Orthodox Church in the United Kingdom. Enter your email address to subscribe to the Pax Christi Michigan blog and receive notifications of new posts by email. PeaceTalk: Pax Christi Michigan · "Nonviolence is a way of life for courageous people" – Dr. M. L. King, Jr.